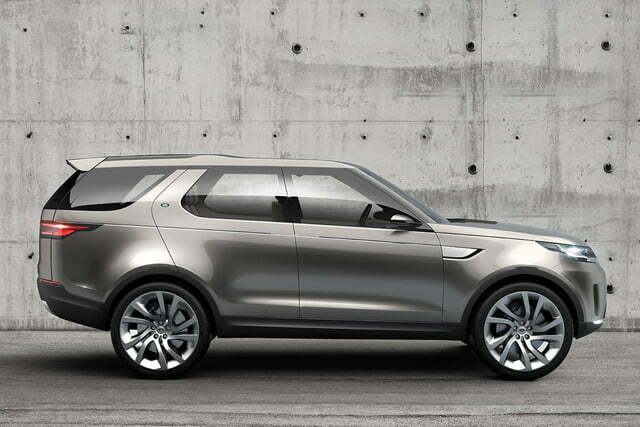 Land Rover Discovery Vision Concept: The future of Cars or techno overload? Land Rover has long been the off-road standard of the world. And even though its most famous model, the Defender, wildly lacks in tech, the British carmaker just might lead the world in automotive tech – from this moment forward. 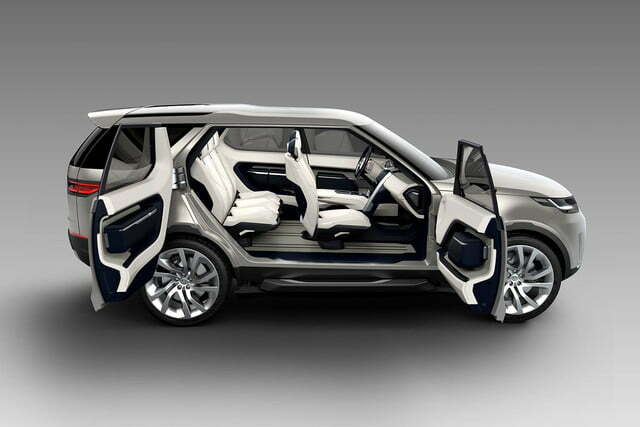 The Land Rover Discovery Vision Concept is perhaps one of the most important and impressive vehicles I’ve ever covered. It uses lasers. It has touch screens, everywhere. Heck, it is a touch screen. It knows where you’re looking and puts information there. It can be driven remotely. And that’s just the beginning. 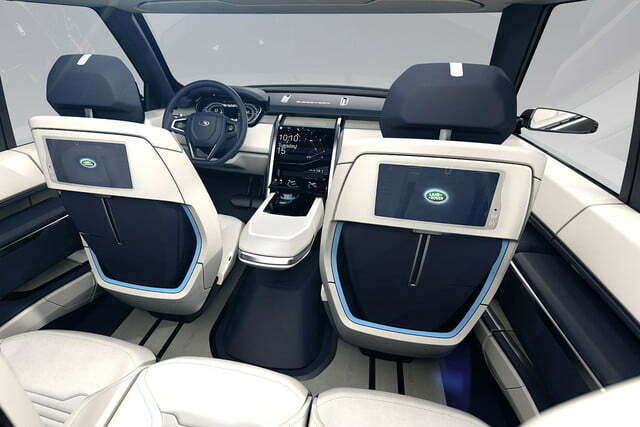 We already reported that the Discovery Vision Concept has a “Transparent Hood” which uses cameras and augmented reality to make the hood disappear during off-road and parking scenarios. This, as it turns out, is just the tip of the iceberg. Not only is the windshield of the Discovery Vision capable of displaying images; every single piece of body glass – including the panoramic moon roof – is as well. Called “Smart Glass”, the entirely transparent glass can display images just like a computer screen. This allows for all kinds applications. Perhaps most exciting is combining eye-tracking sensors and navigation information to relay point of interest (POI) information to passengers. That information can then be swiped – like on a smartphone – on one of four seatback-mounted 10-inch touchscreens or to a docked tablet. The Smart Glass can be used for more than just data. It can also be used to tint and dim the interior, with infinite gradients – or just blacked-out with the swipe of a finger. 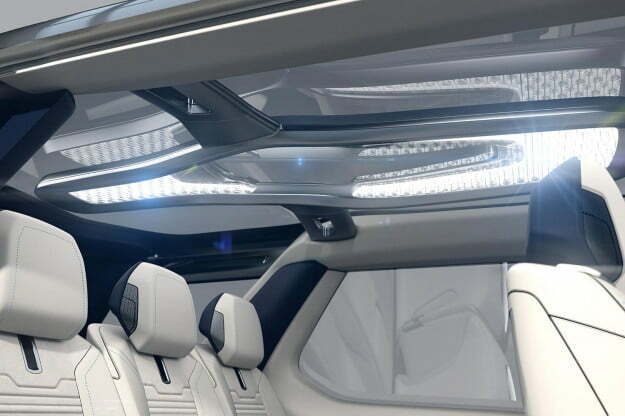 Imagine, too, using the panoramic moon roof to display a screensaver image or mood lighting. This isn’t the only use of screens in the cabin. 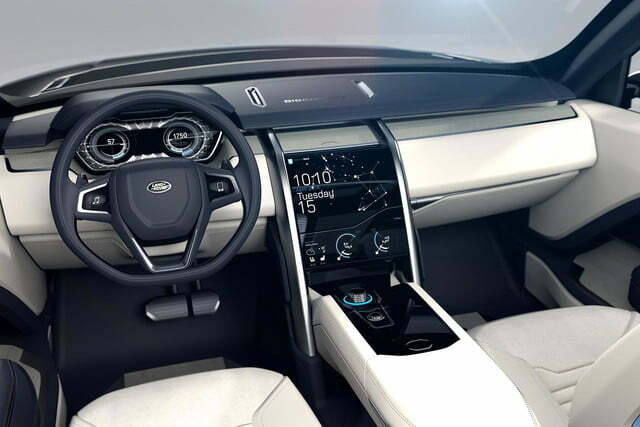 Two small OLED screens are embedded into the steering wheel and can be used to operate the infotainment system. Glance through the steering wheel and the driver is privy to a digital instrument cluster on a three-million pixel high-res screen. In the center of the cabin are two more high-res touch screens, which display system menus. The lower of the two screens flips up to reveal a storage cubby, which also includes an inductive smartphone-charging tray. 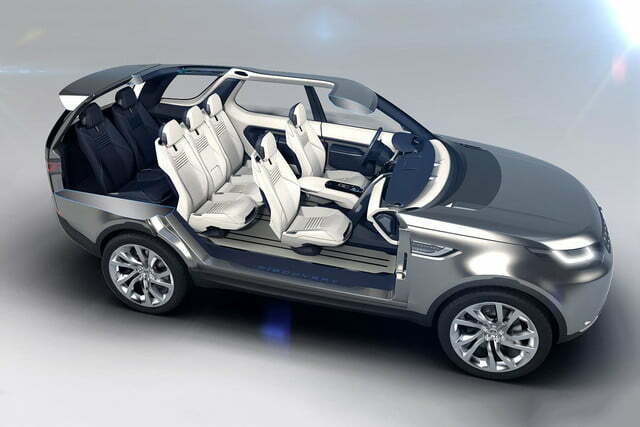 The interior isn’t all about tech, though, it’s also loaded with comfort; Land Rover describes it as “cozy and secure.” The first two rows of seats are covered in oil- and water-resistant Nimbus white leather, while the third row is covered in Navy blue leather, which is nicely accented by open pore wood trim and polished and machine-finished aluminum. Take the Discovery Vision out for a backcountry day-trip picnic and passengers can use the included picnic blanket, sleeping blankets and cushions to get comfy in that perfect, secluded oasis. Hit the town, though, and hard case roller luggage with extendable handles can be detached from the rear-hinged coach-style doors and used to carry your belongings. On your way home from that backcountry day-trip, the landscape is brightly illuminated by the Discovery Vision’s laser headlights, which are backed by LED daytime running lights. The laser beams project bright, white light nearly 1,000 feet and use cameras to automatically dip and adjust for oncoming drivers, ensuring the Discovery Vision driver has the ideal on- or off-road view. 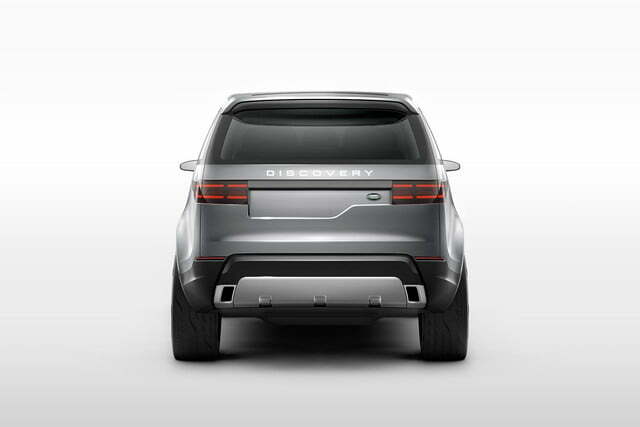 When the going gets a bit tougher, though, the foglights on the Discovery Vision double not only as, well, foglights, but also laser terrain scanners. Emitting infrared lasers, the foglights can map the terrain ahead for the driver in the high-definition cluster screen. Should the driver find himself in an extreme off-roading situation, the Terrain Response dial can be removed from the Discovery Vision center console and used to control the vehicle remotely. 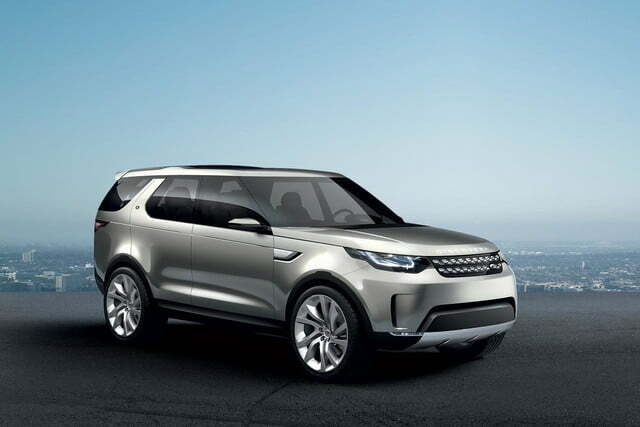 This allows the driver to maneuver the Discovery Vision at very slow speeds from outside the vehicle. Operated by encrypted access through the truck’s onboard Wi-Fi system, Remove Control Drive can also be used through a paired smartphone or tablet. If this seems unnecessary, Land Rover consider the following settings: an off-roading environment, where it’s safer for the driver to inch the vehicle over an obstacle; coupling a trailer; or driving through gates, which the driver could open and close without climbing in and out of the truck. 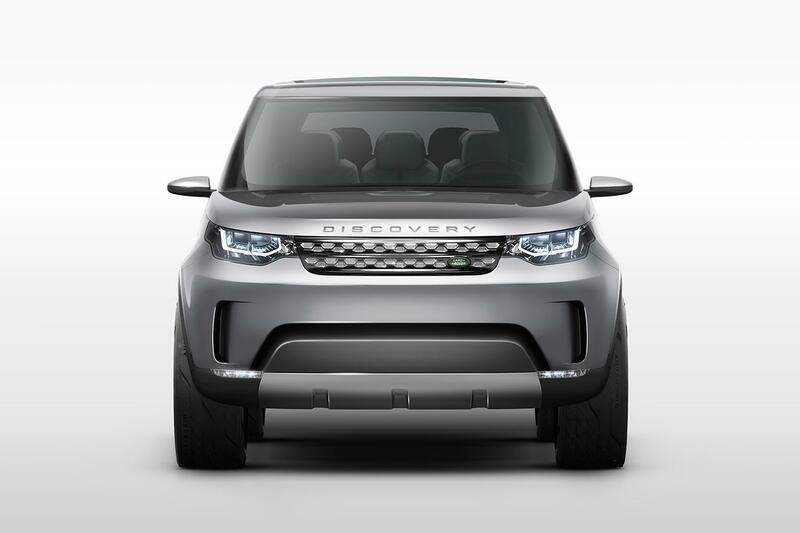 Although the Discovery Vision is a full-size vehicle, Land Rover believes it doesn’t look too big or unwieldy. I’d have to agree. With a big greenhouse and high beltline, it looks airy but significant at the same time. 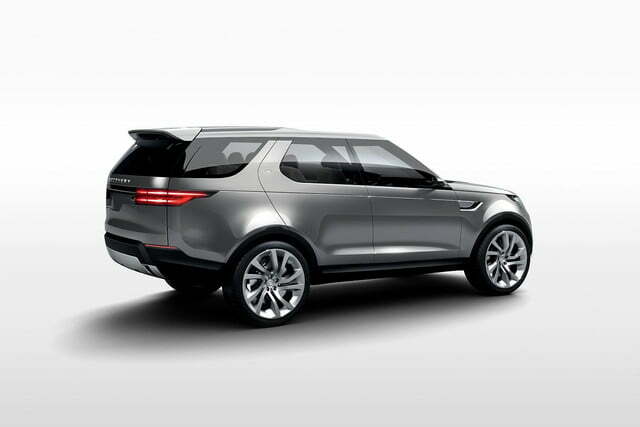 I worry it’s a bit too Ford Explorer in its looks, but I’m a big fan otherwise. 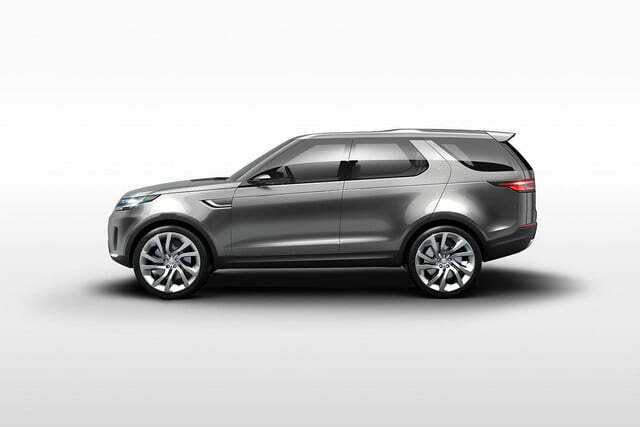 While the Discovery Vision is hugely impressive in its tech and comfort features, it is still just a concept. 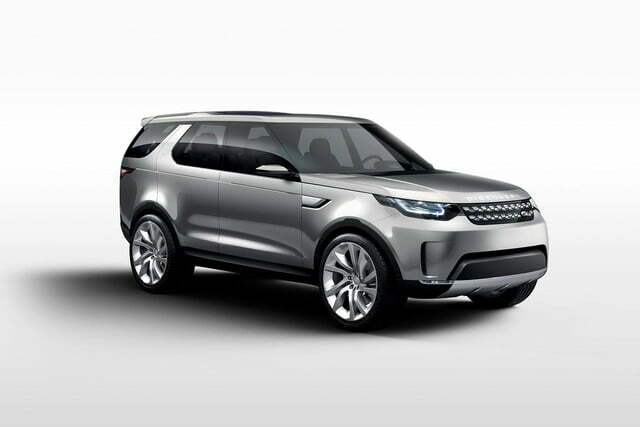 Delightfully, though, this new British 4×4 is said to preview the new range of Discovery sub-brand models coming from Land Rover in the future. 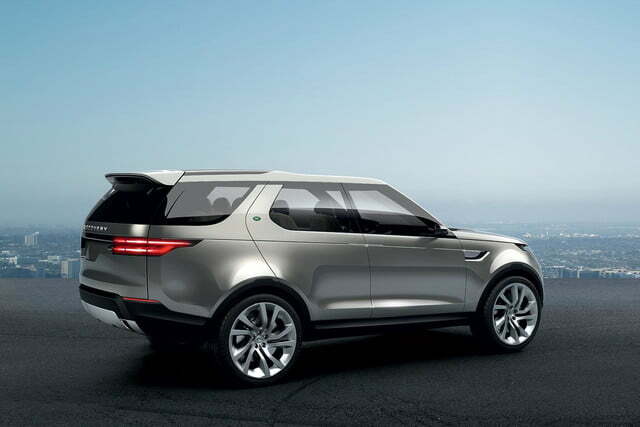 If they have just half the tech, style, and gravitas of the Discovery Vision Concept, I suspect they’ll take the luxury SUV market by storm. If you’d like to see what else is unveiling at in the Big Apple, be sure to check out our 2014 New York Auto Show topic page for all the latest news.